Kingtiger Group is specialized in research and development of recycling of agricultural residue (straw, rice husk, sawdust, bagasse, leaf, etc). 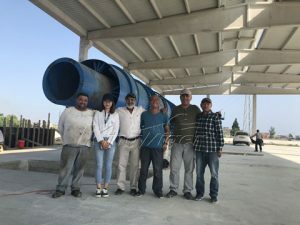 According to characteristics of rick husk, Kingtiger supplies a professional rice husk charcoal making machine, changing rice husk into charcoal. 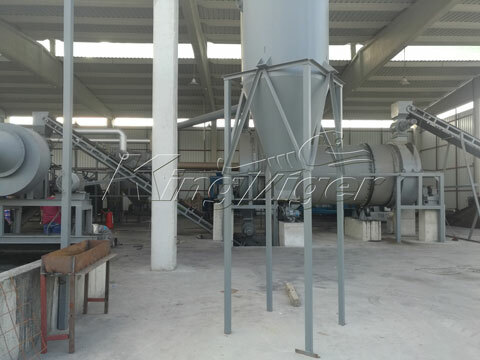 This machine is also called as rice hull carbonizer, rice husk carbonization furnace, etc. 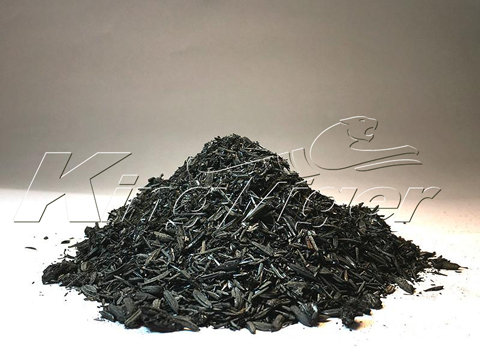 Rice husk charcoal has high economic value and can be used widely in many fields. In industrial production, it can be used as heat insulating materials for iron and steel production; in agriculture, it can be used for crops cultivation and soil improvement. At last, it can be used for heating and barbecue. 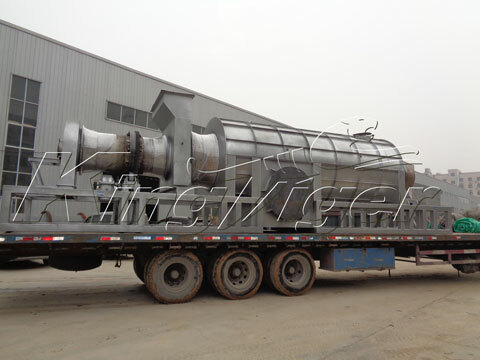 Why Choose Kingtiger Rice Husk Charcoal Making Machine? 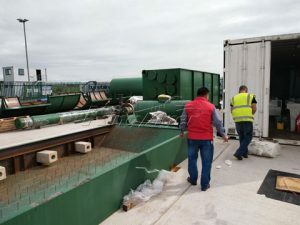 – Wide raw materials: agricultural and forestry waste (sawdust, rice husk, bamboo, palm kernel shell, coconut shell, olive wood), sewage sludge, green waste, municipal solid waste, etc. 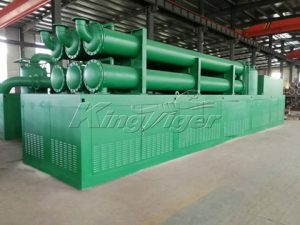 Raw materials of biomass gasifier include biomass such sawdust, wood scrap rice husk, straw, shell, palm shell, coconut shell, etc. customers can choose any of them according local conditions. Gas produced from gasifier is changed into combustible gas through cooling and purification system. Combustible gas is sent into the burner for heating furnace. 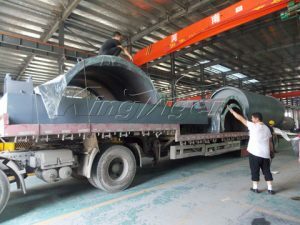 Raw materials are dried in upper two layer carbonization tube. After raw materials dried falls down in another carbonization tube, rice husk begins carbonization process. A lot of flue gas is produced when carbonization beginning. Then open the flue gas recovery device, flue gas will be purified into combustible gas by cooling and purification system. This combustible gas is sent into the burner for heating carbonization furnace. Gas produced gasifier is gradually reduced when carbonization furnace is heated continuously. 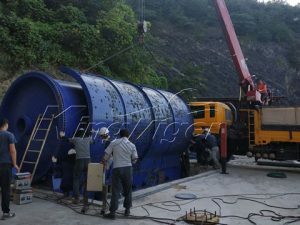 Charcoal is discharged through multistage helical conveying device after it has been cooled by cooling system. Close the gasifier when flue gas produced from carbonization process can satisfy with the whole process. So this machine can save flue cost. The whole carbonization process is continuous, free of pollutants emissions, and environmentally friendly. Drying stages: the material in furnace is dried, but its chemical organization doesn’t change. The initial carbonization stage: carbonization furnace is mainly heated by combustible gas. Materials of chemical organization will change when temperature reaches 180 to300 degree Celsius. Hemicellulose breaks down to CO2, Co, and a small amount of acetic acid. Overall carbonization stage: temperature of carbonization furnace reaches 300 to 600 degree Celsius. Materials in furnace will rapidly decomposition, while generating a large number of liquid (acetic acid, methanol and wood tar oil) and combustible gas (methane, ethylene). Rice husk will be formed charcoal. If you are interested in biomass/rice husk charcoal making machine, please contact us without any hesitate. 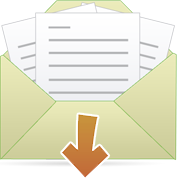 Otherwise, Kingtiger Group supplies many waste recycling solutions, you can visit it.